This 4-Pin Molex Y-Cable/Splitter originates from the Nanoxia sleeved cable series. The cable is 20cm long and the individual wires are covered with black nylon braided sleeves. 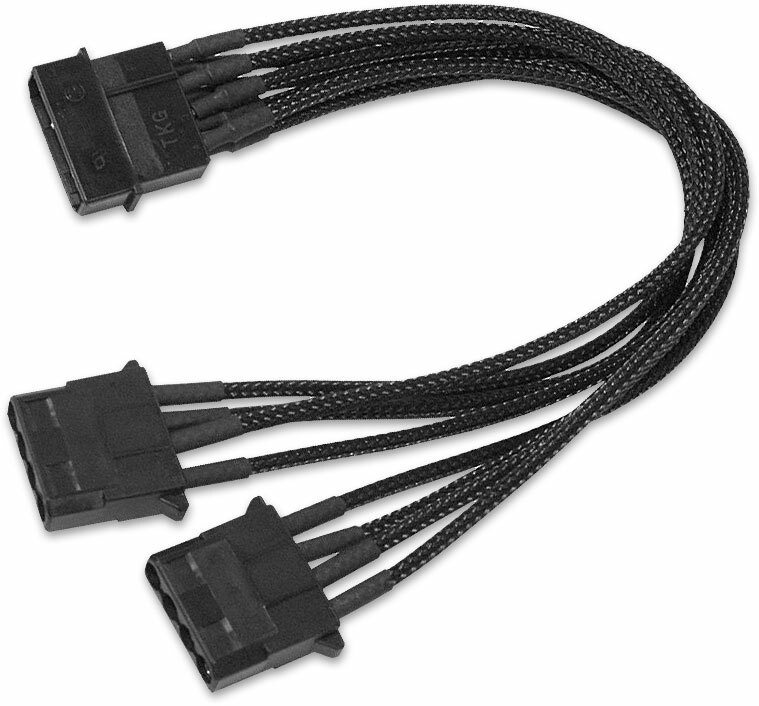 This type of extension/splitter cable is used not only to extend an existing Molex PSU lead but it also splits it in two to give you an extra Molex connector if required. This is ideal if you are starting to run out of Molex power connectors.